The year was 1987 in Littleton, Colorado. Missile manufacturer Martin Marietta (which would later become Lockheed Martin) cut 7,500 jobs creating 1 million square feet of vacant real estate. In a town with a population of just about 30,000, that kind of job loss makes quite an impact. Chris Gibbons, Littleton’s director of business and industry affairs, faced the challenge head on and dug deep, pioneering a program that he called Economic Gardening. 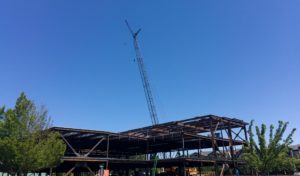 In just two decades, Littleton experienced job growth from 15,000 to 30,000 jobs, with sales tax revenue tripling from $6 million to $21 million without any recruiting, incentives or tax rebates. Later the model expanded to over 24 states, including Washington. The Economic Gardening model focuses on top line growth. By combining proven growth strategies, sophisticated databases and a team of experts, the program helps businesses grow their sales with data driven and actionable information. And it takes that information straight to the top, to the head of the company. In Washington state, the program is directed at private, for-profit companies that have been operating in a Washington State community for the past two years. To be eligible for the program, the business should employ between 6 and 99 employees and currently generate between $750,000 and $50 million in annual revenue. They should also provide (or be able to provide) products and services beyond the local area. And they must demonstrate the intent and capacity to grow beyond their current level. Economic Gardening is an intensive 36-hour consulting engagement. The engagement begins as a phone call or video chat with the owner, CEO or the highest level of leadership to get to know the company and assess what EG tools might best advance its goals. Additional consultation typically take place over several days, as the business’ schedule permits, to total approximately eight hours. Following the consultation, a national team of experienced researchers and strategists go to work on behalf of the business. They develop a plan that focuses on five key areas: core strategy, market dynamics, qualified sales leads, innovation and temperament. The specific nature of each plan depends on the unique circumstances and goals of the business. Once the researchers complete the 20-24 hours of research, a second consultation is held to discuss the findings. The entire engagement is complete in just four to six weeks. “An EG consulting engagement takes place over the phone and through email,” says Celia Nightingale, director for the Thurston EDC’s Center for Business & Innovation. “Some may wonder how effective that can be, but the EG team has proven its value over and over again. It’s a really powerful program,” she adds. Gain valuable intelligence on market trends and potential competitors. Better target those regional, national and international markets offer the best opportunities for expansion. Better target their marketing to mapped geographic areas. Increase web traffic and sales by raising their website effectiveness. Better understand their competitors as well as current and potential customers by tracking websites, blogs and online communities. Make informed decisions about their business model and core strategies. Additionally, the program takes a look at the business’s tools and frameworks. The experts assess the business model to look for pitfalls like the Commodity Trap, where you’re competing dominantly on price. They examine volume and margins and opportunities to add value, ensuring the company does not get stuck in a model that is not conducive to business sustainability. Economic Gardening is a program of the Edward Lowe Foundation. The state of Washington has contracted with the Foundation and heavily subsidizes the $5,000 cost of the program for Washington businesses, reducing the cost to $750. “Based on previous EG clients, this small investment in growth will pay dramatic dividends,” says Nightingale. “EG isn’t a consulting service that seeks to make the business dependent on them or to upsell more services. 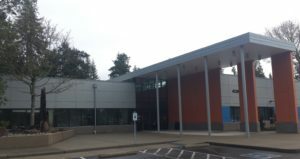 Businesses are receiving actionable results from high level experts.” The mission of the Thurston EDC’s Center for Business and Innovation is to help businesses grow and succeed in our area. A strong economy in Thurston County benefits the whole of the state. And so far, it is working. 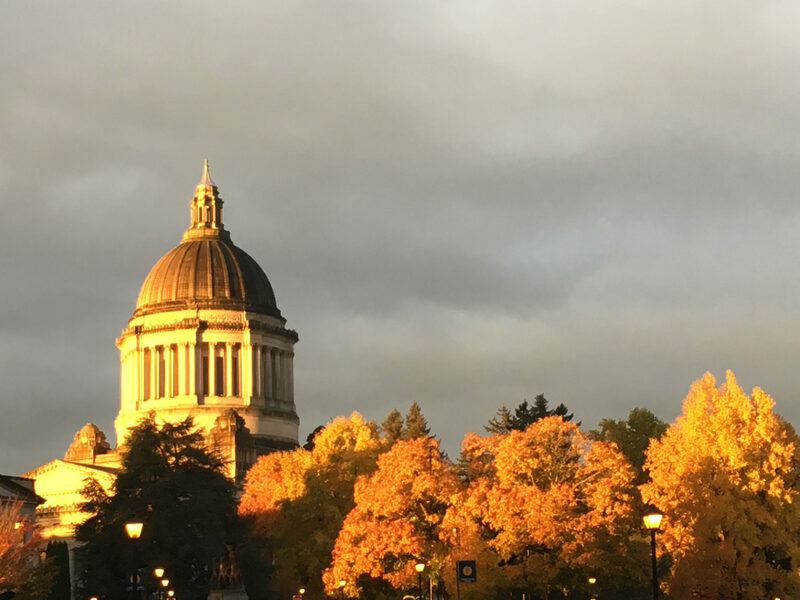 Ranked number one for best economy in the nation by WalletHub in 2017, Washington State is interested in maintaining that position of healthy economic growth. The strong economic activity and health of the state is the result of relatively modest investment, the study found. Investments like subsidizing the Economic Gardening program were a part of that modest state investment which sees businesses thriving all over the state. If you have questions about getting started with the Economic Gardening Program, you can call the Thurston County EDC at 360-754-6320. Or, if you are curious about other programs the EDC and Center for Business & Innovation offer to support local businesses, check out Thurston EDC webpage.